Warhammer 40,000’s first rule book was published in 1987, with the most recent edition being in 2017 (accurate to the time of writing). Over the years, the rules have changed and so too have the races. Today, we’ll be focusing mostly on the mainstay races, although some of them were added in later down the line. Before we get into that, here’s a small glimpse of insight as to how big this game is in terms of sales. Rick Priestley left the organisation in 2010, citing the views of the company were too sales-driven, rather than focusing on ambition within gaming. However, Games Workshop still owns the rights to the game, so they have continued to work on and sell the miniature figurine game to a high success. To this day, it is arguably one of, if not the biggest tabletop miniature wargame around.There aren’t many big shopping areas where you don’t see at least one of these stores tucked away. As a heads up, there are times when a whole different race will be introduced, or a subset of a particular race. 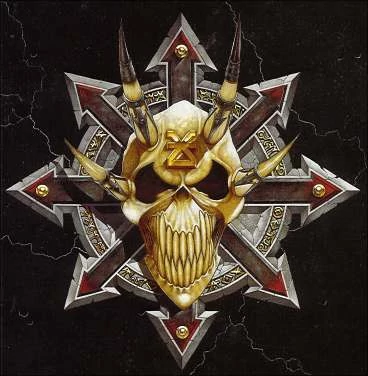 As an example, I really enjoyed the aesthetics of the Space Wolves and thought they’d have been one I’d have picked up, but in truth that’s the type of race you get into when you’re big into Warhammer 40k. Right, without further adieu, here’s a description of each of these races. Do you believe in the order of the universe? Well, the Imperium of Man consist of the Space Marines and various smaller factions. Humans fall under this category, with the exception of the Chaos Marines and the likes. 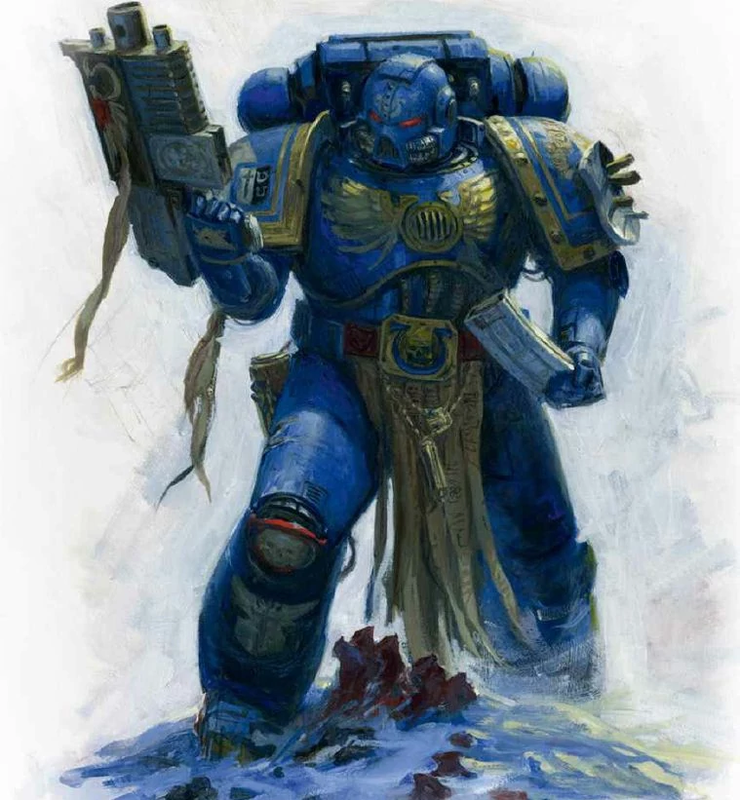 They all serve the God Emperor of Mankind, so to oppose him is to be branded a heretic and their enemy. Their technology is, whilst good, a bit stunted in as far as they’ve not really progressed technology recently. You would typically pick the Imperium of Man, or more specifically the Space Marines, if you wanted flexibility in building your armies. There are loads of models for this particular race/faction. Indeed, if you want to get pretty competitive, you’ll be hard pressed to see a period of time when the marines don’t come out. A great all-rounder pick, with a lot of versatility – And great infantry units. So picture the Space Marines being about order. Chaos are sort of not about that. They are a bunch of insane, violent, vicious men who have fallen to the Chaos Gods. They don’t care if you don’t like them, they only care about war – And this can be a terrible blight upon the universe. Most are fallen humans, although they are joined by a few other models too. Be prepared for a few mutations whilst you’re at it! Chaos are typically chosen if you want to get the flexibility of the aforementioned Space Marines, without being about order. You’d want to choose Chaos if you want to have a lot of flexibility in designing your army, but you also want to get away from being a force of good. If you feel like you’d enjoy commanding a troop of mad, violent humans, who are willing to undergo mutations, then hey, go for it. The Eldar are pretty much known as space elves. The truth of it is the Eldar are an ancient race of aliens with serious technology behind them. They look down upon anyone who is not a fellow Eldar, even the Drukari, the Dark Eldar. Eldar live in massive fleets spanning across the galaxy, known as craftworlds. 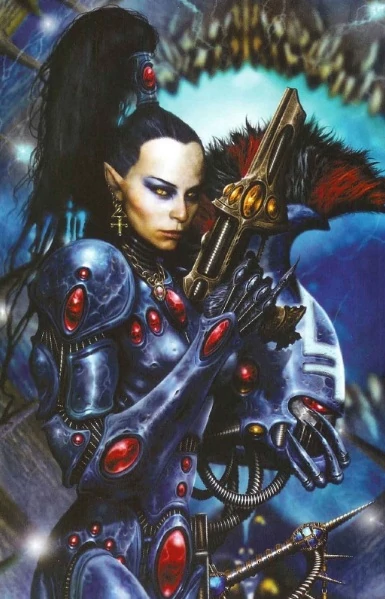 The Eldar command both powerful technology and excellent psychic powers. You’d typically pick the Eldar if you wanted a race that was a glass cannon. An infantry of the Eldar is pretty weak and indeed, in a numbers game, the Eldar don’t do that well. Where they excel however is with their bigger units, which can seriously turn the tide of war. The opponents will have to think quickly to handle some of these larger units, who can be surprisingly mobile as well. Plus, as Joel and I discussed yesterday, they have some truly terrifying tech. The Dark Eldar are the polar opposite of the Eldar. They don’t care for anything, including the order of the galaxy that the Eldar typically believe in. They are, in essence, space pirates who want nothing more than to destroy, kill and plunder as much as they can. After all, they are freed from the clutches of order that bored them in the first place. Oh, to make them even more space-pirate-y, they live in a port. If you want to play something similar to the Eldar without being about having a holier than thou attitude, this is the race for you. If you want to be space pirates, this is the race for you. If you want to see some terrifying machines, this could still be the race for you. 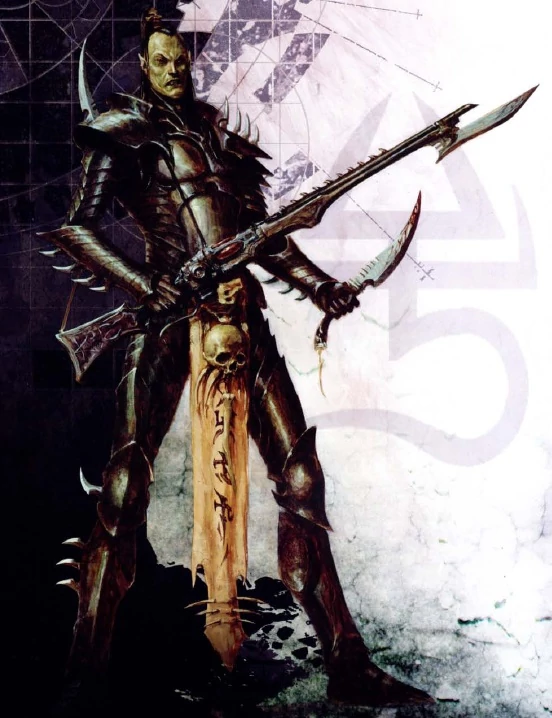 The Dark Eldar are effectively the “bad” Eldar, in the same sense that the Chaos are the “bad” humans in Warhammer 40k. Tyranid are an odd lot – They are a mishmash of all of the deformities across a plethora of bioforms that share a common theme. The Tyranid are a massive collection of aliens who believe in the mantra that “Quantity has a quality all its own”. Their whole philosophy is to be continue to survive as a species, which means they would look to consume all other races, in hopes to help their own advancement and reproduction. 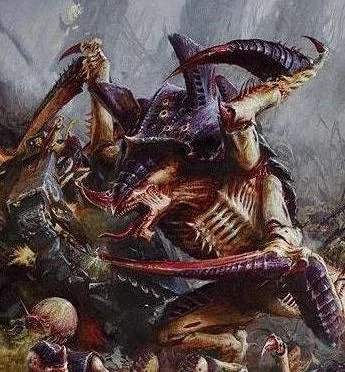 You’d pick Tyranid if you want to completely overwhelm your opponents with sheer numbers. The Tyranid are pretty simplistic in how you’d play them, however they are all about coming up with strategies to single out and completely “devour” away at enemy units. The Tyranid are melee heavy (albeit individually are pretty weak). This is a race that wants to get in close, so to help them out with that they are strong against psychic units. 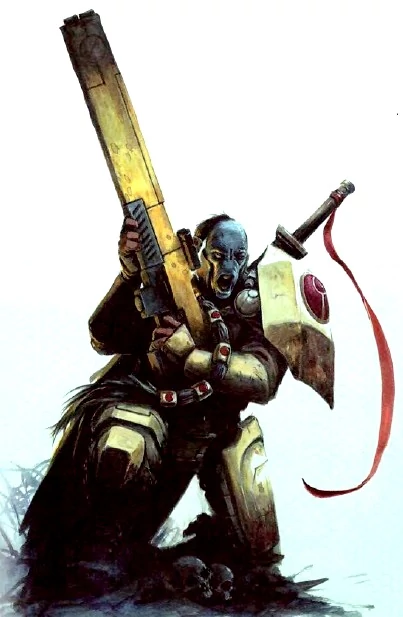 Tau are blue-skinned people who live on the outskirts of the Imperium of Man’s borders. In all honesty, the Tau are effectively the do-gooders of the universe. They are the only race that actively encourage other races to join them and to become one, in a bid to become part of “The Greater Good”. The Tau are, therefore, not really a hugely war-like race, but rather they believe they fight for a good cause. The Tau are ranged fighters, but they are vulnerable to psychic units. They Tau have a variety of units which are great for dealing with enemies from afar, however the best part of the Tau has to be their terrain versatility. Many of them are able to fly over, or to skim over difficult terrain. If you like to keep away from an enemy and fight them when you have the terrain advantage, this is the race for you. 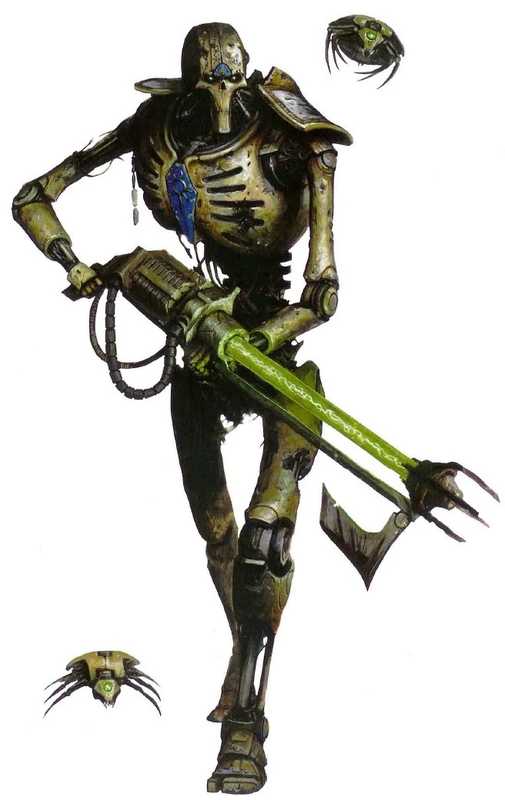 Ancient enemies of the Eldar, the Necron are an undead plague upon the galaxy. They are walking robot skeletons, which is an incredible idea. Their consciousness were put inside of these robo-skeletons, as they used to be a race of living beings. Now they are mindless, following the leadership of only the highest-ranking Necron. They have decided to rise now, in a bid to rebuild their ancient empire. You pick Necron if you want to play a race that’s pretty well rounded, with most of the units having excellent leadership potential. They have strong melee, they have strong ranged units – but what they lack is speed. If you want to play a different type of race, this may be the one for you, as they are a slower playstyle, with the ability to reanimate themselves once they have fallen. Last but certainly not least, this is the comedic race of the universe. 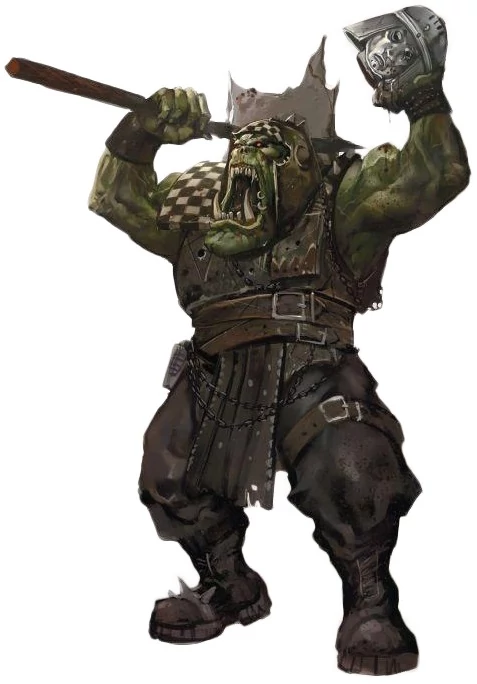 The greenskins, the Orks, are powerful and warlike, because they feel like it. They have primitive technologies that can sometimes outperform the best technology – because they believe it will work. They have a heavy Cockney accent, because I guess it was decided that was funniest. No matter what, these guys will always make you smile. The Orks, in all honesty, are picked if you want a melee heavy race that can take a beating. Their ranged units are somewhat lacking, but if you want to have a good laugh, the Orks are great for this. They are all about marching in, even right up to a tank and just whacking the hell out of it – And they’re damn fun to watch and play. Orks may be simple, their gameplay strategy may be easy to pull off, but don’t count them out – Orks are tough! Hopefully this has given you an idea of the different races of Warhammer 40k. Perhaps you disagree with some of my assessment of some of these races? Are you an experienced Warhammer 40k player, or are you looking to get into this for yourself? Do you play any other tabletop wargames? As ever, share all of your thoughts with us in the comments below, or over on Facebook and Twitter. This entry was posted on March 24, 2019 by Timlah. It was filed under Gaming posts, Traditional Gaming and was tagged with Chaos, Dark Eldar, Eldar, games workshop, Imperium of Man, Necron, Ork, space marines, Tabletop Gaming, Tabletop Miniatures, Tau, Tyranid, Warhammer 40k, What Are The Races of Warhammer 40k, What Race Should I Play.